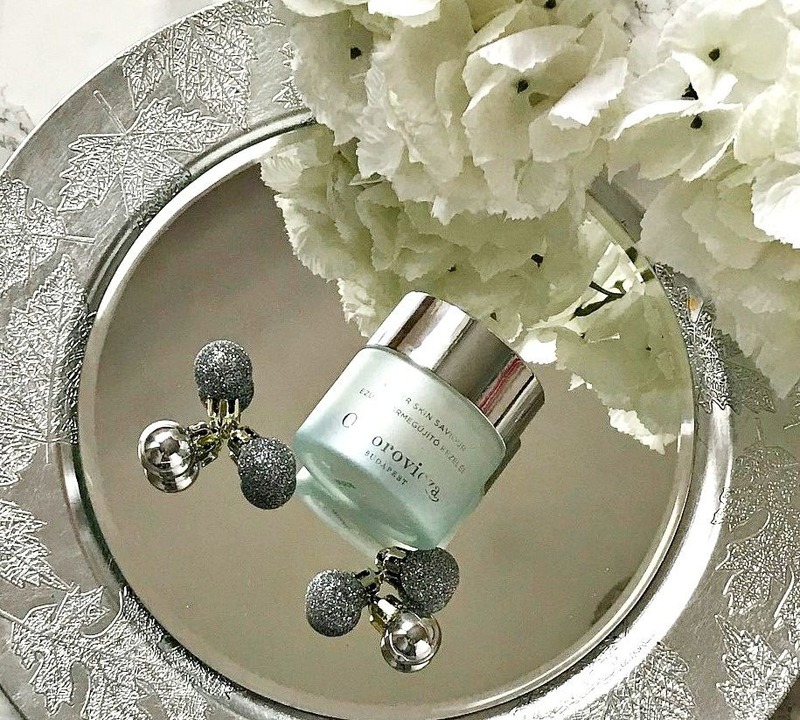 My favourite skincare brand, Omorovicza, recently added Silver Saviour to their mask line-up, which I mentioned in this post. Now that I have been using it for around six weeks, I'm ready to share my thoughts with you! This mask is described as being suitable for those with blemish-prone skin but actually I think that it will work for all skin types - I have dry and sensitive skin, for reference. It contains Colloidal Silver (hence the name), which has healing properties, Niacinamide, which brightens and strengthens the skin, Salicyclic Acid, which is oil soluble and penetrates the pores to deeply cleanse and reduce the risk of blackheads by reducing sebum secretion, Glycolic Acid, which offers a surface exfoliation to reveal brighter skin, and the patented healing concentrate, which runs through all of Omorovicza products and it the key ingredient that makes Omorovicza suitable for even the most sensitive skin as it's so soothing. It also contains shea butter, which my skin is very sensitive to but because this is a wash off product, rather than a moisturiser that is left on the skin, my skin hasn't reacted negatively at all. This mask has quite a thick texture but it spreads very easily and evenly and is applied to cleansed skin and left got 10-15 minutes to do its thing. If you aren't very used to using acids on your skin, then I would recommend starting with 5 minutes and building up to 15 minutes. Skin is left quite pink/red when the mask is removed, however this soon dissipates and it isn't sore so it's nothing to worry about but it's probably best to use the mask at a time when you don't need to go anywhere immediately afterwards and to follow up with soothing products. It's an active mask and I think that limiting use to once every 5-7 days will give the best results. Silver Saviour leaves the skin looking clear and glowing, also feeling smooth. It helps with textured and porous skin and it reduces the risk of a blemish developing into a full-on spot. Blackheads and little under the skin bumps are reduced and the skin is left feeling very soft. This is a mask that everyone would see results with - who doesn't want glowing, clear, soft and refined skin? 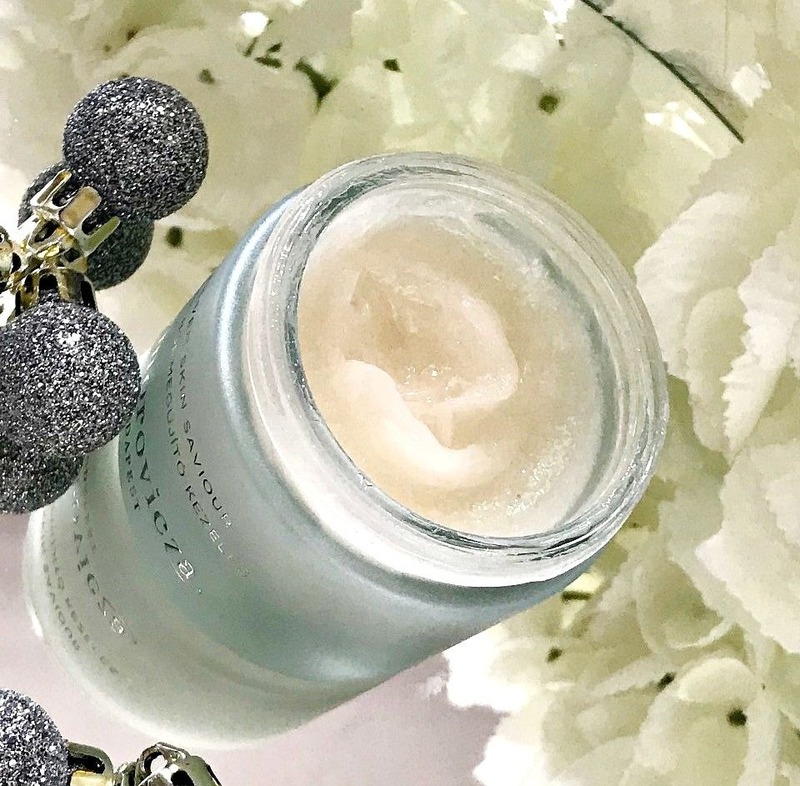 If Drunk Elephant Babyfacial and Oskia Renaissance Mask were to have a baby, this would be the result so if you like either or both of those masks, you will love Silver Saviour! Have you tried this mask? Are you tempted to? I'd love to hear your thoughts! Don't forget to enter my festive giveaway here! All products are bought by me, unless otherwise stated. This mask was kindly sent to me. Opinion is always my own. Affiliate links may be used.